DMAT, the acronym for the "Disaster Medical Assistance Team", was first established in 2004. For the past 10 years, the team has been providing on-site emergency assistance at disaster-hit areas. Yakumo Hibiki was an surgeon at the Arisukawa General Hospital's Emergency Unit, but due to a mistake involving his sister Haruko, he has since been transferred to the internal medicine unit. One day, the hospital Director, Dr. Isesaki Katsuichi, requests for Hibiki to move to DMAT. His childhood friend, Nurse Yoshioka Rin, encourages him to take up the role, but upon joining the team, Hibiki finds his new colleagues aloof and a little eccentric. His first assignment is to a pile-up accident in a road tunnel, and he finds himself working against time to provide medical treatment to those who require immediate attention. So, the story is about a doctor who failed to save her sister immediately and result on making her in vegetative state. From that day onward he's getting scared to examine emergency patients until he's forced to join Dr. DMAT or Disaster Medical Assistance Team. At first he's just becoming a nuisance as he couldn't make any calm decision on spot or being too emotional that could endanger more people in the disastrous area. But he slowly learn by experiences and a lot of scoldings that in accident site he needs to calmly give a priority to lives that will be able to be saved and which lives need to be left. Why i love this drama? bcuz i think that the lead character is really interesting, being too emotional, coward, and crybaby at first onto a doctor that excels on saving people with a limited equipment and to be able to calmly choose life even his important ones. there are some ironic situations that will pierce your heart on some eps and make you scream whyyyy?? but that is something that likely happen in real life. so i would really recommend it if you like life-saving stories or if you like to see how much a character could grow after he encounter many field experiences. the actings are not mind blowing but not bad either. and i think the music fits the story especially the instrument. 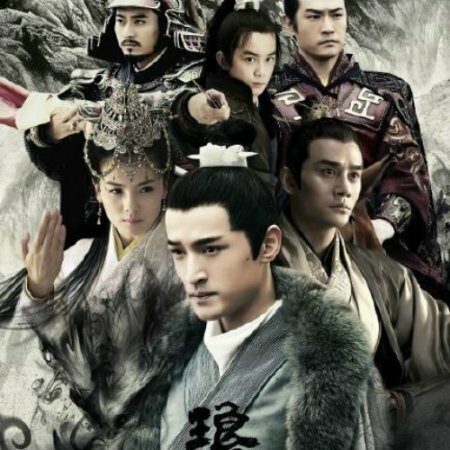 I really think this drama deserves a review, since not many people have watched it. This was my first Japanese medical drama, which I rather enjoyed. So basically this is a medical drama, but not the usual one where the characters are literally stuck in the hospital mostly all of the drama. The story is about the "Disaster Medical Assistance Team", so immediately you get that that they go to accident/disaster sites. But, don't get me wrong, this is not a drama about paramedic. They are doctors and surgeons, who are trained and sent there. This is what made me interested in this drama. I never heard of doctors and surgeons being dispatched outside of the hospital, and moreover to dangerous disaster sites. The story was mostly interesting, but I wanted more. I wanted more accidents, more disasters. It was almost one accident/disaster in each episode. And because I wanted more, I have found some teeny tiny scenes boring. No, boring is not the word, but basically nothing was happening in those scenes. As I stated before, I wanted more. On the good point, I did like Dr. Hibiki's character growth. At first he was this wimpy coward doctor, who was afraid of doing surgeries, and irritates you by his slow response and slow motion movement in disaster sites. But as the drama goes on, he will start using the good brain he has, and function more effectively as a surgeon and a member of the DMAT. The only thing I disliked was Dr. Hibiki's sister, Haruko. Even though she did nothing but sleep the whole drama, somehow I hated her. Yet again, maybe I didn't hate her, but hated how Hibiki was obsessed over her. I know he feels guilty that he did not help her and all that, which caused her to be in a coma. But basically he does not have a life without her. He’s always with her, never goes home, and always sleeps in her hospital room. To me that is just too much. And I did not get how not helping her, gave him a trauma. It is not like he made a mistake while operating or has killed someone, so why the heck is he afraid to treat patients? Instead, it should have been that he is afraid of not treating patients/victims and causing them to be like is sister. 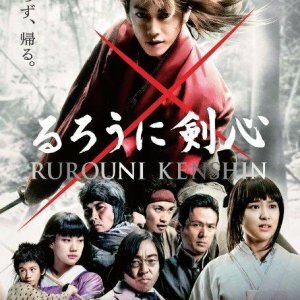 This drama had one of the best acting I seen in Japanese dramas. It was not like anime acting (The term I give when actors act goofy for some reason, which feels like they are trying to look/act the same as manga and anime). But yet again, maybe it is because the story is serious that they are like that. But anyway I really liked it, and I even liked the guests acting as well. My favorite character in this drama was Kozone Tatsuya, he was the most memorable character to me in this drama. I don't know why, I just really liked him. I have never seen Sato Jiro in any drama before, so I don't really know if I like the actor or the character. I did not actually remember any of the songs that were in the drama. The only song I liked and remembered is the ending theme song. 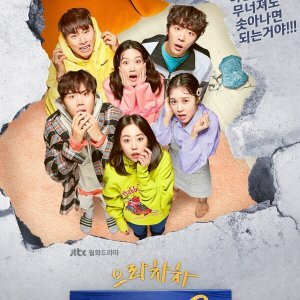 I went over the first episode while writing the review, and noticed that the music is mostly played in scenes where you are more excited/curious to notice them, but they did add feeling to the scenes. I really have to add this category because I wanted to talk about bad transition between scenes. When the scene ends, what they do is suddenly cut the music and the picture is just plain black. Many times I thought my laptop just turned off. I don't know if they did indeed notice this problem later on in the drama, or I just got used to it, but it gets better later on. Also, I think they did spend more money on shooting scenes, because it did look really good compared to other Japanese dramas. I don't actually re-watch dramas, but it would not be bad to watch it again. It is not like mystery dramas, were for example you find out who the killer is in the end and re-watching it is just pointless. So this has a possibility of me re-watching it, after maybe 10 years when I have forgotten the story. I did write many negative points about this drama but I really liked it. It was well shot, well-acted, and had a great story. 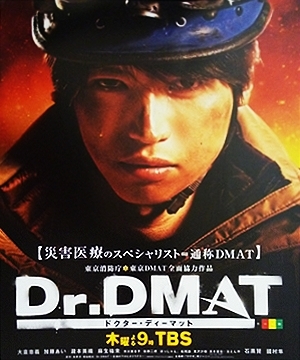 I know some people avoid medical dramas, but this story was inspiring because DMAT really exist in Japan and the US. And you can see only a fraction of how real DMAT work to save people. 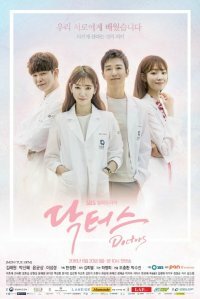 This drama really made me regret not going to medical school, I want to become a DMAT member (even though we don't have them here in my country). I hope one day, someone decides to translate the manga, and I could continue with this amazing story.